March's full moon has some stories to tell. According to Native American tradition, in the absence of the Gregorian calendar and things like day planners, seasons were tracked by the moon. Each full moon was named for the attributes of the time in which it occurred. While the moons of some months were the recipients of poetic names like May’s Full Flower Moon and June’s Full Strawberry Moon, some tribes named March’s full moon after the earthworm. And while that may be less romantic than, say, January’s Full Wolf Moon, it’s nonetheless beautiful for what it is. Here’s everything you need to know about the moon dedicated to the humble and limbless, burrowing invertebrate. 1. For those of us in the United States, the Full Worm Moon takes place on Sunday, March 12, reaching its fullest point at 9:54 a.m. EDT. 2. What’s in a name? Being March, it’s the time of year when winter’s frozen ground starts to soften and earthworms begin to emerge. Who needs first crocuses and nascent tree buds when you have worms as your harbinger? It’s a beautiful testament to a connection with the soil and the importance of all components of an ecosystem. 3. That said, the March full moon was also known as the Full Sap Moon as it coincides with the beginning of maple tapping season. 4. In Celtic, the March full moon has been called the Moon of Winds; in Medieval England it was known as the Chaste Moon. 5. Since the moon will be rising during the evening for viewers on the East Coast, many of us will not see it at peak fullness. But not to worry, she will be 99 to 100 percent illuminated from March 11 to March 13. 6. On the other side of the country, moon-gazers in Hawaii will be able to see the fullest moment just before sunrise, at 4:54 a.m. HST. 7. This month’s full moon coincides with daylight saving time, which begins on March 12 at 2 a.m. local time; if you have a real-live clock or watch, don’t forget to move it ahead by an hour. 8. This will be the last full moon of the winter. Eight days later we welcome the vernal equinox, and come April, we can say hello to the beautiful Full Pink Moon, who receives her rosy name thanks to wild ground phlox – one of the first flowers of Spring. Through the middle of April, Venus retrograde takes us through a critical reassessment, especially regarding finances and relationships. Right now, the most important relationship to sort out is the one you have with yourself. Are you at war or at one? Are you hearing an inner voice speaking more urgently? Aim to develop the art of listening, it is the chief asset offered to you by this cycle. Venus retrograde in Aries calls for you to take the primary focus off the issue or the other and to put it back on yourself. Are you staying true to yourself, to your better interests? Are your actions reflecting the best of you? Are you getting what you want? When in a state of need, fear, or overcompensation, we will act through those filters and tend to override the inner wisdoms of instinct and intuition. This is not a call toward selfishness, although others might label the switch to “me first” as such. Rather, it is a time for a courageous personal regroup. While Venus in Aries prompts you to break new ground and forge new responses, Mars in Taurus, starting Thursday, loans you more staying power and more consistency. Mars will get you better onto target regarding what is most lucrative or beneficial. Sunday can be a tough or slow go thanks to the Virgo full moon. Rather than see yourself as shortchanged or done in, see it as an opportunity to make a necessary improvement—or to let it go and move on. Mercury into Aries, starting Monday, speeds up the process of getting from A to B. For the next six weeks, Mars in Taurus puts added concentration on finances and on making the most of what you have to work with. Even within limitations, Mars loans you more steadiness and resourcefulness. You may feel done with it, but it may not be done with you. Sunday, do what you can; relinquish the futile struggle. Some things cannot be fixed. While Venus travels in reverse motion, as of Thursday Mars hits Go in Taurus. Together, they aim to get your attention better on the target and to supply you with enough fuel to put a move on it. Sunday’s full moon brings an opportunity to fill in a missing blank, to correct, fix, or heal. You may have to give up to gain. Venus is now on a social pullback. As of Thursday, Mars prefers quality over quantity. Together, they suggest out of sight—or off doing your own thing—is the best use of your time through Sunday. Thursday/Friday can be quite productive. Sunday’s full moon can deflate or deplete you. There may be unwanted extras, or health to deal with. You’re only human! Venus retrograde puts you under added pressure to come up with or adjust to something new, but its not an easy thing to do. Allow time to feel your way along. Mars into Taurus, starting Thursday, gives you something more tangible to go on. Friday is your better day. Saturday/Sunday, it’s hard to get a good handle on it. Over the next six weeks, Mars in Taurus will help you to make better strides. First, there’s Sunday’s full moon to get through. Do as much as you can on Thursday/Friday while the getting is good. Ease up for the weekend. Something inconvenient or unexpected could set you back on Sunday. Mercury into Aries, starting Monday, puts you on the upswing again. Thursday/Friday, take full advantage of time and opportunity. Saturday/Sunday could be write-off days. Mercury/Saturn and the full moon are building up to something, but you might not see it coming. Accept what is, work with what you have, relinquish the rest. Control or containment is difficult, at best. As of Monday/Tuesday, Mercury into Aries puts you back in action. With so many planetary influences in Pisces right now, it’s easy to get lost in your day or in your process. Building to Sunday’s full moon, Mercury/Saturn can water down your effectiveness, keep you uncertain or in the dark. As of Monday/Tuesday, Mercury in Aries helps you to be quicker on the uptake. Venus retrogrades sharpen your skill at observation and objectivity. Mars into Taurus, starting Thursday, pushes you to chase the money down and/or to get it under better control. A social or personal involvement can give you a run for it too. Venus retrograde keeps you searching for more and better. Saturday/Sunday, let yourself off the hook. Things have their own sense of timing. By next Friday, you’ll have worked through plenty. As of Thursday, Mars in Taurus can help you simplify and/or make better gains on what has been giving you a run for it of late. 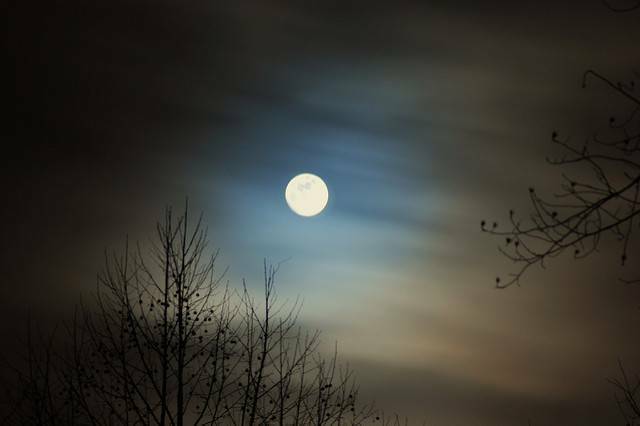 Through the weekend, the full moon can keep you guessing or stressing. Watch for a natural progression to give you better clarity or options. By Monday, Mercury is on a better cut to the chase. Thursday/Friday can see you accomplish easily and well. Communication and social connection are on a good flow too. The full moon could put a damper on the weekend. Take it as it comes and don’t dwell on the negatives. As of Monday, Mercury is on the upswing. The week ahead is prime, put it to good use. Relationships and activities run smooth on Thursday/Friday. Saturday/Sunday, the full moon can put you under extra strain and/or bring up something unexpected. It’s a chance to get it fixed, cleared away, or healed. As of Monday, Mercury into Aries sets you onto a faster upswing. Tuesday/Wednesday, stay flexible; consider more options; take it as it comes. The work is well done Thursday/Friday. The play also nets good reward. Blow off steam this weekend in a healthy way. By Sunday, you may not be able to hold back on speaking up or out. It’s good to get it out in the open, but try not to let resentment or frustration get the better of you. • The bright Moon hangs a few degrees below or lower left of Regulus this evening, as shown here. The Sickle of Leo extends from Regulus toward the upper left. • Late tonight comes the second-brightest asteroid occultation predicted this year for North America. A 6.3-magnitude star in Leo’s snout, just in front of the Sickle, should snap out of sight for up to 3 seconds for observers along a narrow track running from the Georgia coast to just north of San Francisco. The culprit is the 15th-magnitude asteroid 1343 Nicole, only about 26 km (16 miles) wide. Leo will be very high in the southwest or south at the time. For times, detailed maps, a finder chart for the star (easily spotted less than 1° northeast of Lambda Leonis), and other information, see Steve Preston's prediction pages for this event. • The Moon is equally full this evening and tomorrow evening, as seen from the longitude of the Americas. That's because the exact time of full Moon, 10:54 a.m. March 12th EDT, lands halfway between the two evenings. This evening the Moon shines by the dim hind leg of Leo (too dim to be plotted above). Tomorrow evening it's by the dim head of Virgo. • Daylight-saving time begins at 2 a.m. Sunday morning for most of North America. Clocks spring forward. • As the stars come out this week, Sirius shines high in the south. Sirius is the bottom star of the bright, equilateral Winter Triangle. The Triangle's other two stars are orange Betelgeuse to Sirius's upper right (Orion's shoulder) and Procyon to Sirius's upper left. • The Moon rises due east around the end of twilight. Almost an hour later Jupiter follows up below it, and about 20 minutes later Spica rises to Jupiter's lower right. This curving vertical lineup is high in fine view by about 9:30 or 10. • Jupiter, Spica, and the waning gibbous Moon form a triangle that rises in the east around 9 or 10 p.m. tonight. • Algol shines at its minimum brightness, magnitude 3.4 instead of its usual 2.1, for roughly two hours centered on 9:24 p.m. Pacific Daylight Time. • The tiny black shadow of Jupiter's moon Europa crosses the planet's face tonight from 10:48 p.m. to 1:17 a.m. EDT, with Europa itself following behind from 11:55 p.m. to 2:16 a.m. EDT. Subtract 1 hour from these times to get CDT, 2 hours to get MDT, 3 hours to get PDT. • We've entered the time of year when Orion declines in the southwest after dark, with his Belt turning horizontal. But when does Orion's Belt appear exactly horizontal? That depends on where you're located east-west in your time zone, and on your latitude. Can you time this event? If you're near your time zone's standard longitude, expect it around 9:10 this evening. . . more or less. • On the traditional divide between the winter and spring sky is the dim constellation Cancer. It lies between Gemini to its west and Leo to its east. Dim it may be, but Cancer holds something unique: the Beehive Star Cluster, M44, in its middle. The Beehive shows dimly to the naked eye if you have little or no light pollution. With binoculars, it's a snap even from fairly polluted areas. Look for it a little less than halfway from Pollux in Gemini to Regulus in Leo. • Algol is at minimum light for about two hours centered on 9:14 p.m. Eastern Daylight Time. • Jupiter's moon Io, barely off Jupiter's western limb, disappears into eclipse by Jupiter's shadow around 10:24 p.m. EDT. A small telescope will show it slowly fade away. 0 Response to "8 things to know about the Full Worm Moon"